Dr Richard Swannell, who led the retail team at WRAP that developed the Courtauld food and waste packaging initiative, has said he expects industry commitment to the scheme will surpass its previous incarnations. WRAP said it had secured nearly 50 signatories at the launch of the latest incarnation of the project, Courtauld 3. These included a number of major retail chains and food and drinks companies. 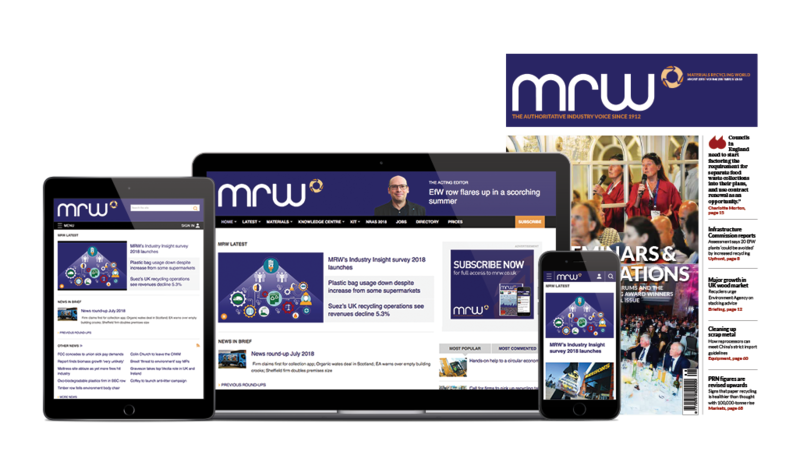 Swannell, who joined WRAP in 2004, told MRW: “I’m very pleased indeed with the launch because we’ve got more founding signatories than we had last time. “When we launched Courtauld 2 we had around 30 founding signatories and we ended up with 53. At the moment we’ve got 45 - and four new signatories in that, which we’re very pleased to see. “What we’re looking for over the coming months is to bolster that further and I fully expect us to beat the number we had for Courtauld 2. He said the “ambitious” targets to reduce household food and drink waste by 5% and product and packaging waste in the grocery supply chain by 3%were set with the agreement of the industry. “The key thing is we have some impressive targets to go for and 1.1m tonnes of waste is due to be prevented as a result of this, which is just stonking. It’s enough to fill Wembley Stadium to the brim. It’s good progress, going in the right direction. “We looked into what would happen in the absence of a follow-on from Courtauld 2 and what that would mean in terms of supply chain waste, household food waste and packaging. “So it was a bottom-up assessment of what could be done. We worked out exactly what we thought was achievable and discussed the targets with industry, which welcomed those targets. WRAP has made food waste prevention a greater focus for Courtauld 3. “That is at the moment a real priority, not just for the UK but also across the world,” said Swannell. “The United Nations have picked this up and countries around Europe are beginning to look at this. Here is an area where we can make savings now, and as a result of that build a more resilient, competitive supply chain and help consumers save money in these difficult economic times. “We’re also working through the Product Sustainability Forum (PSF) looking at how you can reduce the environmental impact over the entire lifecycle, and we’ve got pathfinders looking at that in parallel to Courtauld 3. Swannell, who has spent nearly 10 years developing the Courtauld Commitment, said the success of the scheme had surpassed his expectations. “To be honest, it’s gone much better that I could have possibly imaged when this kicked off in 2005. Liz Goodwin, WRAP’s chief executive, has set out her vision for an international voluntary agreement to reduce food waste. Dozens of retailers and food and drinks companies have signed up to the latest version of WRAP’s Courtauld voluntary initiative to cut down on food and packaging waste. A forum to tackle the environmental impact of every-day goods has been set up by Wrap in a collaboration with a host of organisations and government. Up to £724m could be saved by the UK hospitality sector each year if they tackled food waste, according to today’s report by the Waste & Resources Action Programme (WRAP).